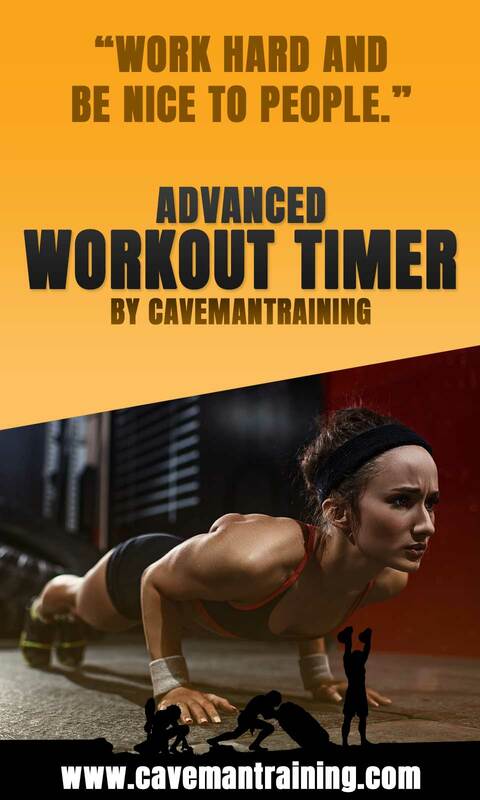 The advanced workout timer by Cavemantraining is one of the most flexible and advanced workout timers on Google Play for Android. 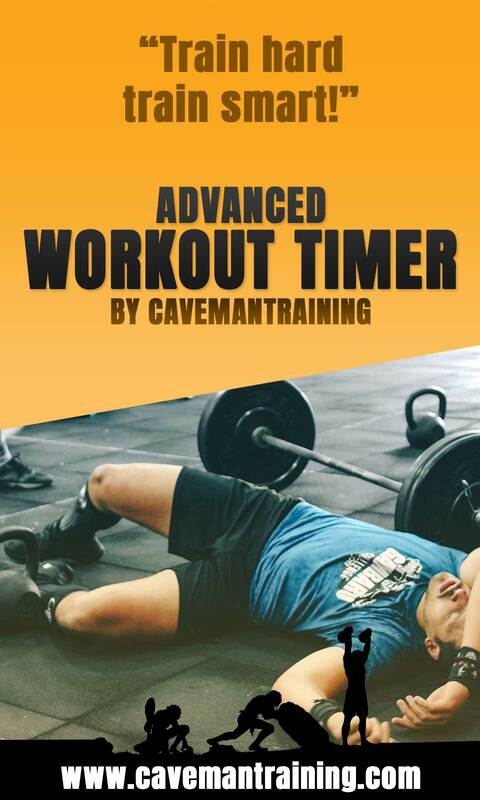 This timer can be used to create any type of timer, FOR TIME, AMRAP, Tabata, Circuit, CrossFit WODs, kettlebell training, etc. You can program rest, warm-up, cool-down, transitions, and you can even create user-defined blocks, which allows you to specify your own exercises or other titles you want to display. 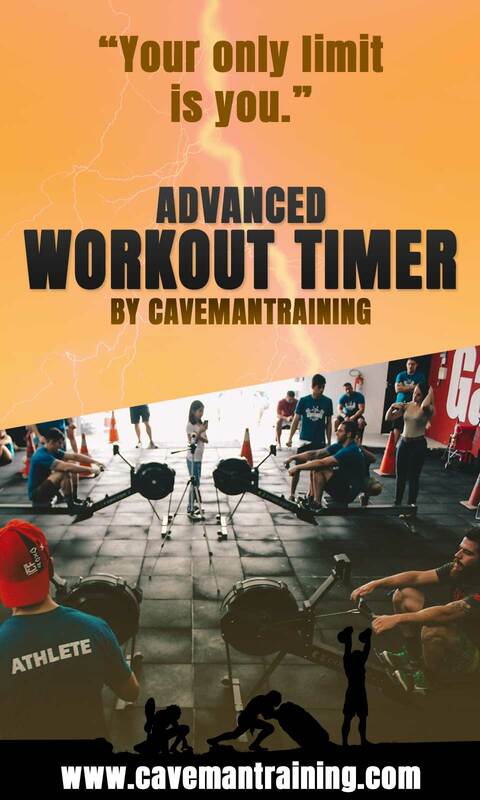 You can drag and drop the parts of the timer that you create, and put them in the order you want it, you can duplicate timers, you can share timers, you can download pre-defined timers for our workouts. The possibilities with our timer are endless. This is the only timer that allows you to nest sets/rounds. You can create your own alerts, you’re not stuck a specific time the alert happens, you define at what time it happens, at the start, 10 seconds after, 5 seconds before the end, half-way, etcetera. The timer comes in three flavors, free, paid, and premium. The free version allows you to run the timers without any interruptions, at the end of running the timer for the second time, you’ll be asked to watch an ad, or you can easily upgrade at a low cost. 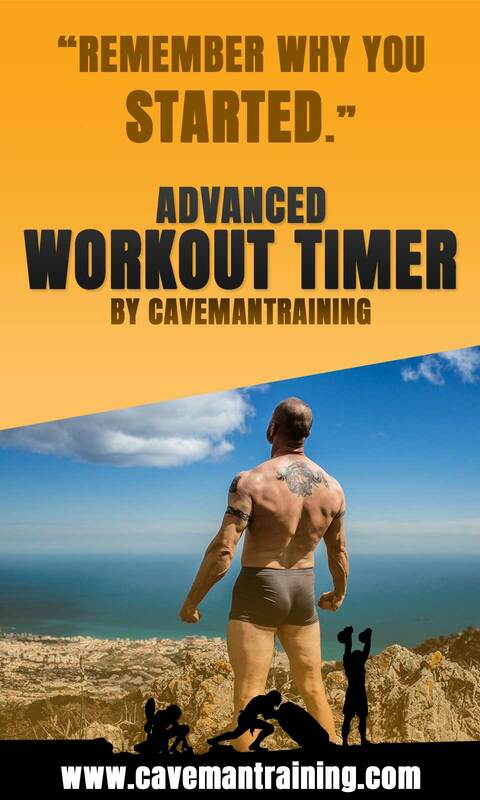 This timer will become part of your workout life, upgrading is without a doubt a no-brainer. My timers screen displays all your timers, from here you can re-order your timers by clicking the first orange icon and then dragging and dropping the timers via the hotspot on the right of each timer. You can share or backup your timers with the second orange icon, once you tap the icon you can select a medium to share through like, email, social media, google drive etc. The third orange icon allows you to add a new timer. When you click on a timer name it will go into edit mode, if you click on the green play icon, it will run the timer, if you click the three dots to the right of the timer, it will display options like, edit, delete, duplicate, and share. 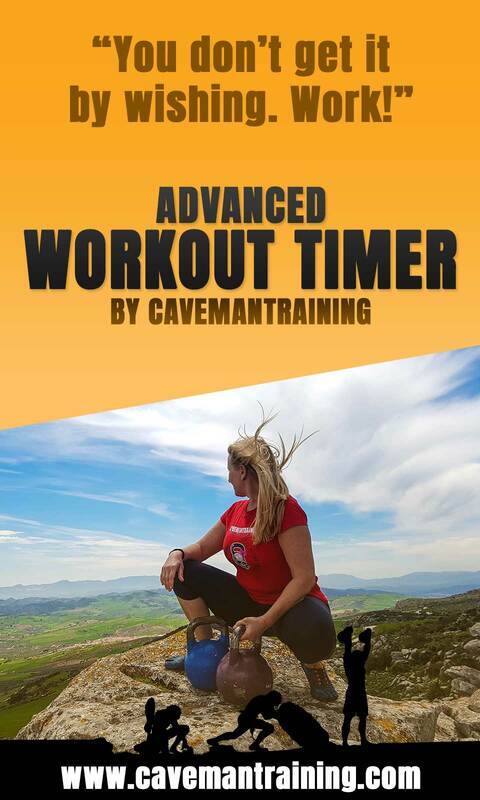 Selecting Create timer allows you to create a new timer from scratch. Selecting Duplicate existing timer allows you to select an existing timer and create a duplicate. This is paid functionality. 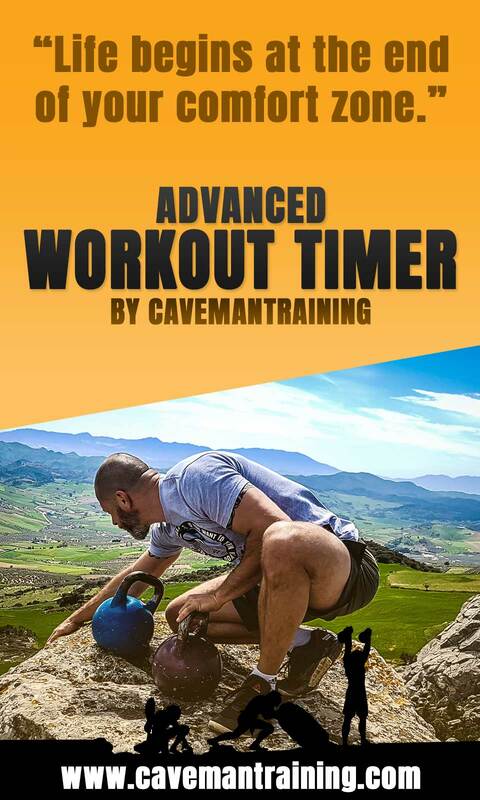 Selecting Download a timer allows you to download pre-defined timers from Cavemantraining, you can watch our workout videos, read about the workout, and then download the timer to perform the workout yourself. Only a limited amount of timers can be saved. 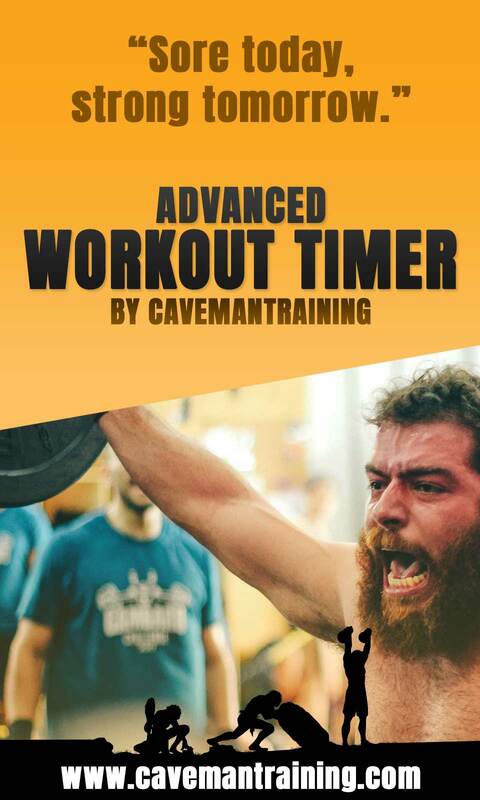 Every second time a timer is run, an ad will be displayed afterward. The timer duplication is paid functionality. Creating user-defined types is paid functionality. Display customization is paid functionality. The only required field is the name of the timer and will be displayed under My timers. Once you’ve entered a name just click Next. If you need to go back, use the back arrow top left of the screen, or your phone back button. The repeater block defines how often you want to repeat something, and the time block defines the duration of what you’re doing. More than likely you will always add a Repeater block first to an empty timer. The number of times you want to repeat a time block. If for example, you wanted to create a Tabata timer of 8 x 20 seconds work and 10 rest, you would enter the number 8 here. This is a required field. You can also think of this as the number of rounds. Because you can have multiple repeaters in a timer it’s a good idea to give them a sensible name, for example, if you have a timer with multiple tasks you can name the first repeater “Task 1”, the seconds “Task 2” and so on. If you have a simple interval timer you can name it “Interval 1” or just “Interval” if you only have one. This is not a required field, but if you do not enter a name, it will just show the block as 8 x (if 8 was the number enter for repeat). All functionality is unlocked. The world is your oyster.